Visitors walk among large ice sculptures at the 29th Harbin International Ice and Snow Festival in Harbin, China, on Jan. 6. 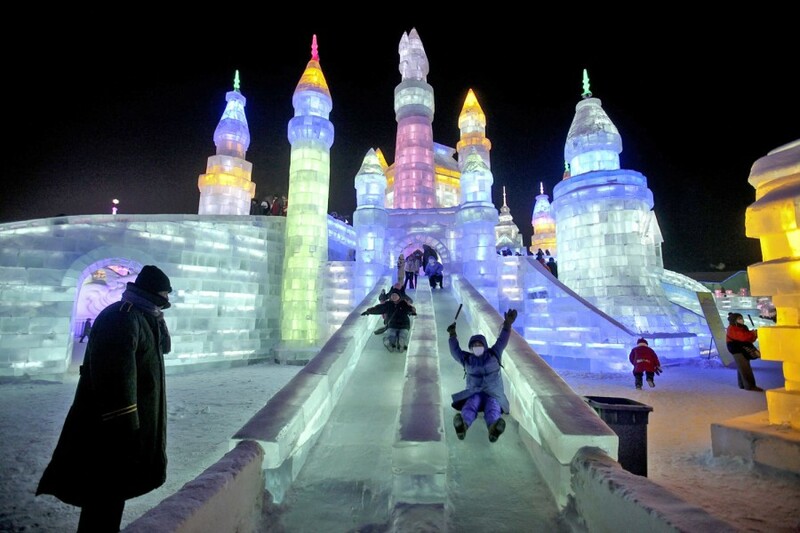 The annual festival features hundreds of activities related to snow and ice. Picture made available Jan. 7. 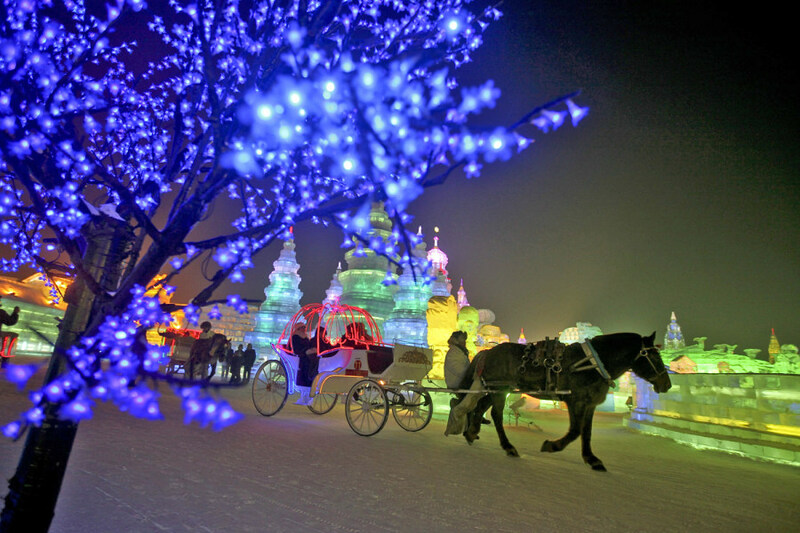 Visitors ride on a horse cart among large ice sculptures at the 29th Harbin International Ice and Snow Festival in Harbin, China, on Jan. 6. Picture made availabe Jan. 7. People slide down an ice slide at the festival on Jan. 5. 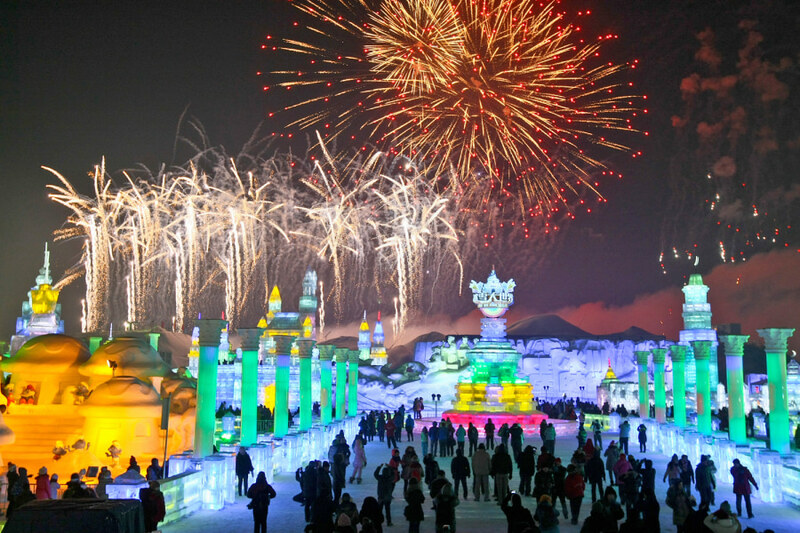 Fireworks explode over enormous ice sculptures at the opening ceremony of the Harbin Internatoinal Ice and Snow Festival in Harbin, China, on Jan. 5. 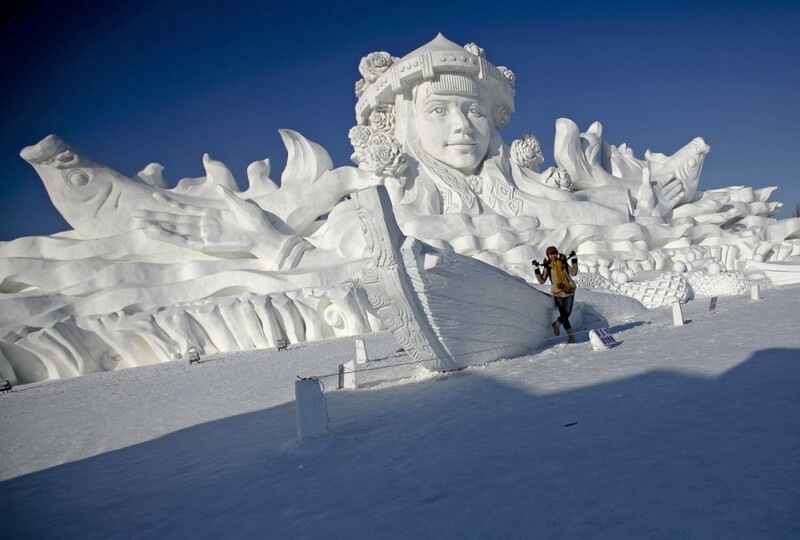 A woman poses for a photograph in front of a large snow sculpture at the Sun Island Park at the festival on Jan. 5. 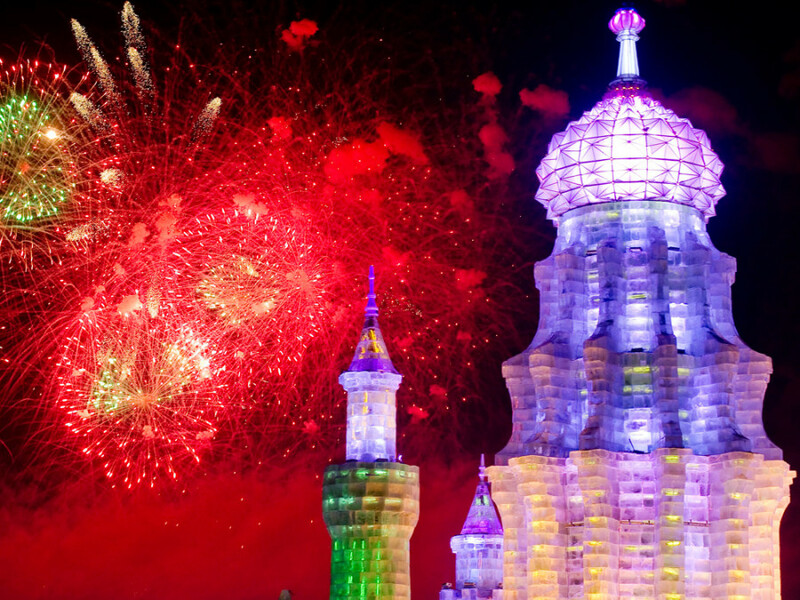 The 29th Harbin International Ice and Snow Festival in Harbin, China attracts both local and foreign visitors for a three-month-long subzero event. 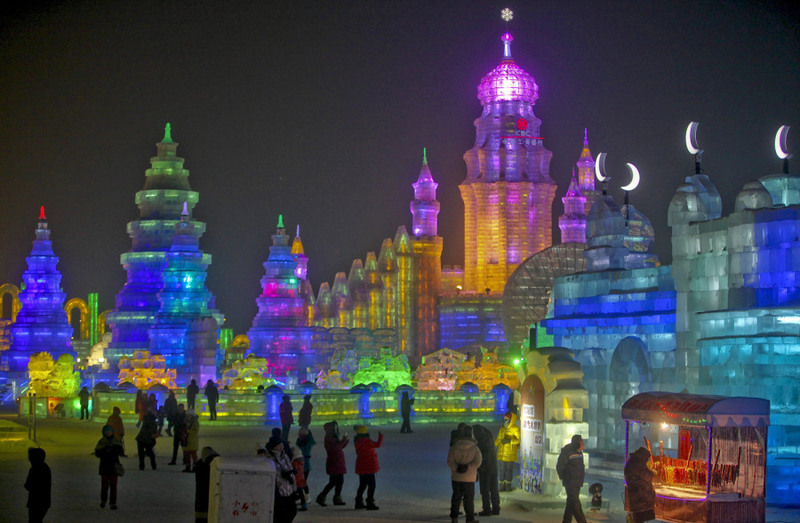 Castles, creatures and even a sphinx are just some of the majestic ice sculptures on display at China's annual Harbin Ice and Snow Festival. NBCNews.com's Dara Brown reports.